Whilst it is botanically named after Persia (it actually means Persian plum), the peach actually originated in China where the Chinese believed the fruit conferred immortality on those who ate it .Bowls of peaches were found to have been entombed with Chinese dignitaries long before Christ. It was brought into the west via Persia, today’s Iran to the Romans and was introduced to the Americas by, yet again, the Spanish. 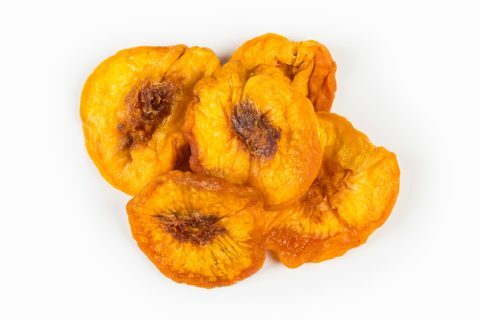 Today, dried Peaches are exported by the USA, South Africa, Australia and Chile.